With the Summer Budget 2015 comes a shock new raft of Vehicle Excise Duty (VED) changes, again designed to force drivers into more fuel-efficient vehicles by punitively punishing those with higher CO2 emissions. Due to come into effect 1 April 2017, the new car tax system introduces a flat standard rate of £140 effectively for any car that’s not a pure-electric vehicle, with variable first year rates that increase proportionally with CO2 emissions. The first year rate begins at £10 for a vehicle emitting 1-50g/km and ends at £2000 for anything over 255g/km. You can read about the changes in more detail here, but here are ten popular cars that will be hit with significantly higher VED payments from 2017 onwards. You'll be surprised. 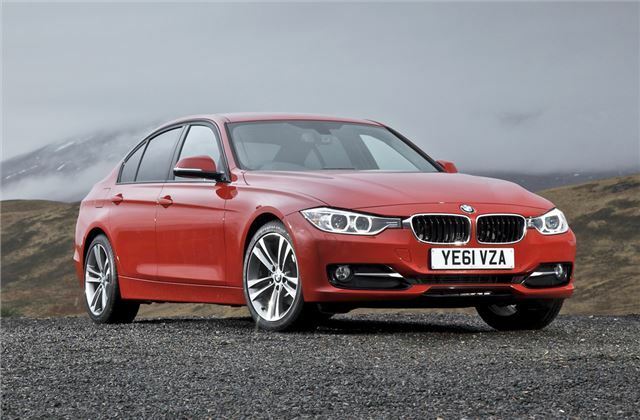 The BMW 320d Efficient Dynamics is a shining example of how brilliant engineering can circumnavigate restrictive tax legislation. With only 109g/km CO2, the 320d ED is quantifiably an eco car but doesn’t feel anything like one. Yet from 2017, with a £140 annual tax bill slapped onto it, running one will become significantly more expensive. As most new BMWs are owned by Businesses, I doubt if a £140 annual bill will be of too much concern to their drivers. My bigger concern is the assumption that Diesel-powered cars are less damaging to the planet than petrol cars, because of their lower Co2 emissions. It seems to me that as diesel cars get older and are then, perhaps, in private hands and not being serviced according to the manufacturers' schedules, they actually cause more harm than petrol cars do, through the output of dirty smoke - a regular feature on older vans and cars. Is the Government right in assuming that diesel-powered cars are better for our environment? With VW bringing out PPF's on new cars, seems petrol is not as clean as it's made out to be. PPF's stands for Petrol Particle Filters. It seems everything pollutes even electrical vehicles, which polutes the least!!! That's the question? Also it seems funny that the Americans are putting smog down to mainly vehicles and they now have to have a 2 yearly smog inspection, seeing the majority of cars in America are petrol perhaps it is you that has the 'dirty car!!!!! Petrol cars are becoming more efficient but only by adopting technologies such as direct injection. Unfortunately this increases particulate emissions - similar to diesel. Best bet is probably petrol hybrid which have lowish compression ratios and port injection which favours low NOx and low particulate formation. Better efficiency is achieved by electrical regeneration. Result - petrol electric has economy similar to diesel but with less CO2 (petrol is a less carbon dense fuel) while NOx and particulates are virtually non existent. Basically cake and eat it. No-one ever mentions the noxious emissions produced during the manufacture of every new car which are massive world-wide. Far too many vested interests and jobs involved to do anything about that! Maybe we should all consider running our cars for an extra year or two before changing which would help reduce manufacturing emissions.